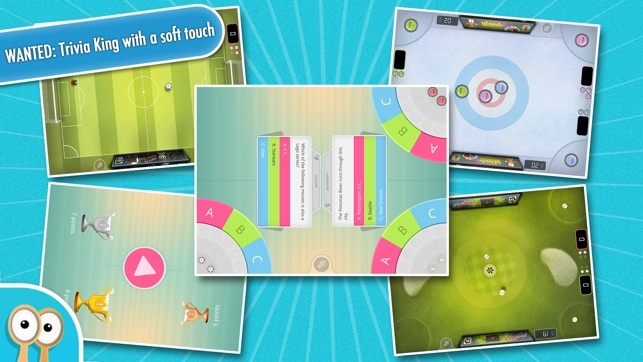 Compete against friends and family in a one-of-a-kind type of quiz game. Correctly answer questions from over 200 fresh categories. The first player to get 10 right answers will lead the pack into an intense 90 second flick round where the winner of the game is determined. 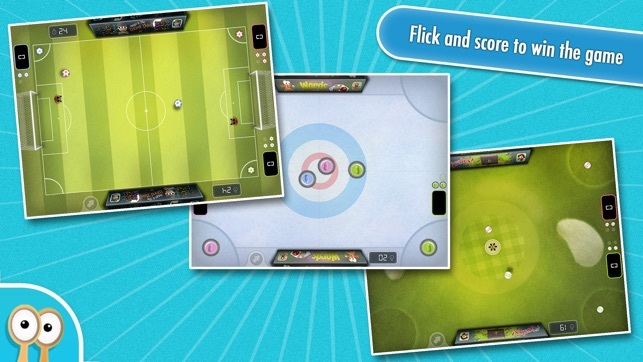 Each game of QuizFlick consists of a 5-10 min quiz portion followed by three 30-second flick games. There is not a second wasted in this high paced table top game for 1-4 players on a single device. 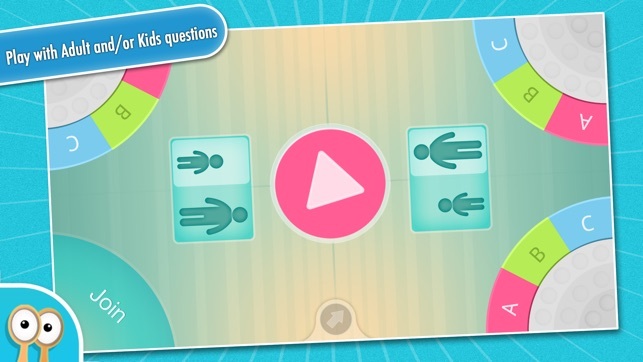 QuizFlick includes two sets of questions - Adult and Kids. This means that players of all ages can compete together on equal terms. 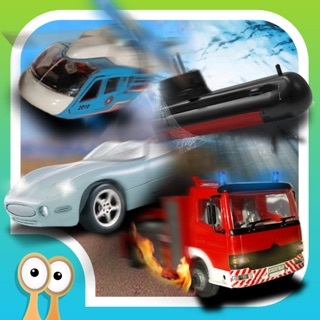 Just choose if you want to play as an adult or kid when you join the game. 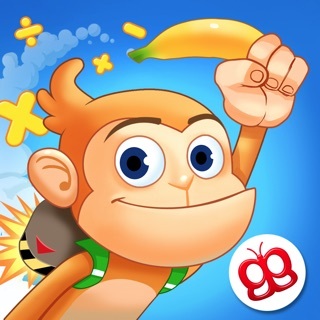 All questions used have been professionally written specifically for QuizFlick by experts in their respective fields. 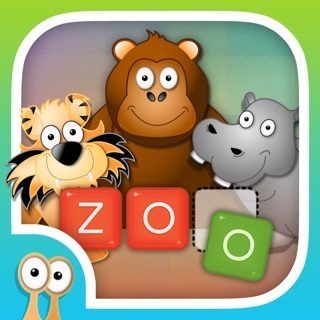 The game include more than 3000 questions for each of the supported languages (English, German, Swedish and Norwegian). More questions and languages will be assured by your 5 star review. Using a quiz battle as “game engine” to set the stage for the flick games is brilliant. In old board games this had to be done with dice. I also love the fact that I can play my kids. Maybe they will get into trivia now. I am sure flicking soccer and golf balls instead of just answering questions will help. 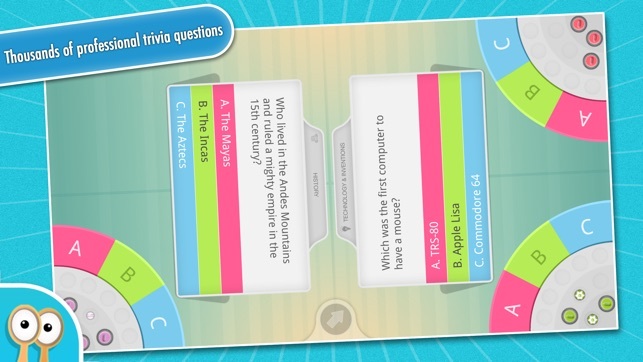 I like the idea behind this game, but there doesn't seem to be any rhyme or reason to the difficulty of the trivia question. Some of the questions for kids are obscure or too hard. Other times the adult questions are so easy they should be kid questions. I agree with the other review that asked to add our own questions. Right now I can't recommend this game. It is nice that there are different questions for kids and adults. 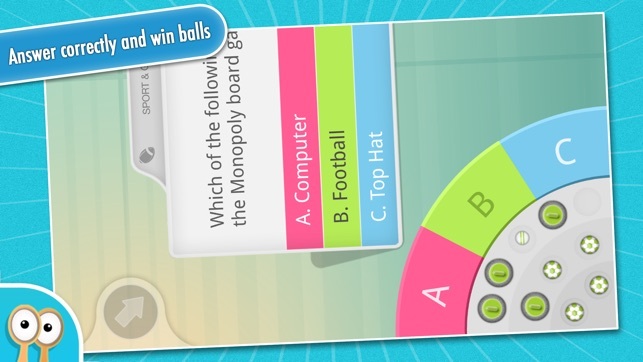 Earning a new ball for every correct answer makes the trivia question part very interesting because you will need those balls in flick soccer, curling, and golf.